Saw the first one out of the corner of my eye. The sighting was part of an annual rite of spring in my cottage actually. (Technically my house, but due to it’s size and feel – definitely a cottage) Along with its cottage status comes the inevitable parade of ants who enjoy passing through, stopping by, or just hanging out for a bit at this time of year. Try as I might, using my usual approaches to ending their visits quickly: asking them to move on, loudly threatening them with the imminent arrival of twin hungry rogue monkeys, squishing them with bits of paper towel, and sprinkling salt around the area, I couldn’t seem to encourage them to go. Interestingly enough, after all these attempts, the population seemed to be growing, and I even began to notice different kinds of ants, apparently word has spread throughout the diverse ant world – all ants are happily welcome here, we clearly do not discriminate in this park. 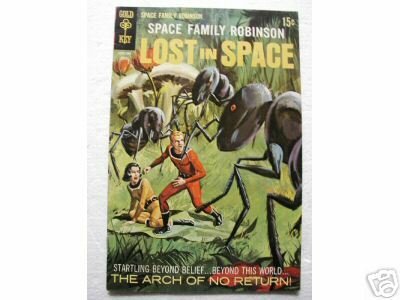 ‘lure ants with delicious treats which they cannot resist and they carry back to the queen, quickly wiping out the colony.’ Sounds good to me. More time went by and they continued to show up so I put traps directly in the sink, now rendering it useless to me and probably exposing me to some yet unknown future disease or mutation. For personal safety’s sake I had to switch to washing my dishes in the bathroom sink and not use disposal, it appeared they were winning control of the territory. After a couple more days of the battle, and a few random sightings, they seemed to finally be gone and I re-opened my sink for business. Hope this has taken care of my visitors for this season, though if they show up again, I can always order those monkeys, you can pretty much find anything on E-Bay these days. Shortcuts are not all they are made out to be. As most everyone on the planet has discovered, (and rediscovered), time and again, is that, in the end, they are forced into a much longer and more complicated process than if they had they opted not to take the shortcut in the first place. Once this ‘easy’ route is taken, and things go amiss, there is no choice but to repair the damage done by going down this road. The original goal is instantly tossed aside and it moves to trying to start over where it all began, only to discover oneself a bit further behind that point. This is where the trifecta of elements used to make things right once again come into play: a huge waste of time, a burn of lost energy , and the inevitable mind-numbing frustration. My latest foray into the world of multi-tasking, as it applies to my world of yardwork, began at 10am on a lovely, early spring day. I had the fever, and my lawn certainly did as well. My thought was that a quick mow and trim would cheerfully welcome my yard back into the world of the living, and then I’d hit the dirt in the gardens where the real beauty treatment would take place. 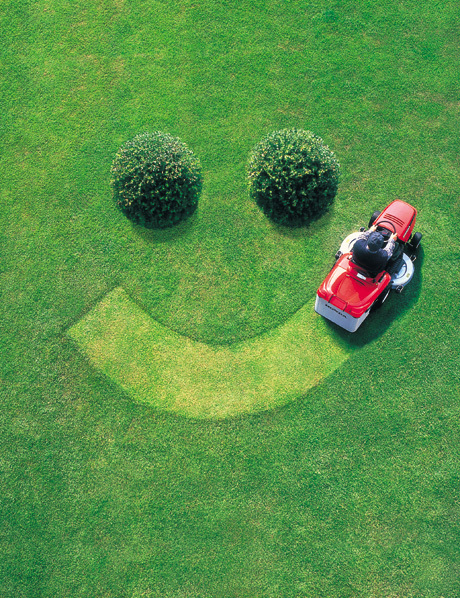 It began as usual, with an attempt to start the mower, only to discover it was out of gas. I dug some change out of the crevasses of my car, found the gas can, and made a quick trip to the local station. After wrestling with the pump, (didn’t have my glasses on to see what info the pump was forcing me to provide), a kind patron directed me to enter my zip code, and 4 dollars and a full-body dousing with a warm spray of gasoline later, I was on my way once again. After filling up the mower and an over-enthusiastic attempt to start it and get this project rolling, I flooded the mower and decided to give it a rest for a bit. On break, I went in, had a cool drink, and had to stay standing, so that the gasoline I was now covered with would not get on the furniture. Determined not let this get the best of me, (though I must admit a bit of the ‘cheeriness’ of the project had begun to fade), I went back out, refreshed and ready to roll. The mower, now full and happy, easily started up. My estimated mow-time for my little lot in the city was about 15 minutes and I pushed my mower over the first strip of the bumpy and patchy landscape that is my lawn. Soon after, I came to the railroad ties that serve as the dividing line between my yard and my neighbor’s directly to my side. At that point, for some reason, probably because I felt I was already running behind, I made the fatal decision to try to trim and mow at the same time. (Quick flash back in my mind that my neighbor had some sort of irrational fear that something awful would happen to our railroad ties…). I made the move to lift my mower strategically, at an unnatural angle, to trim the long grasses that grew next to the railroad ties. At this point, it all happened quite quickly. The blades of the mower made an awful sound as they whirred and stuck violently right into the side of the wood. The mower came to a dead stop and a huge puff of smoke came out of its base. The mower was now deeply embedded into the wood and could not be released no matter how hard I tried to pull it off. It was literally hanging in the air, at a diagonal angle, teetering between my yard and my worried neighbor’s driveway. I quickly switched goals once again, and decided I would do whatever it took to just get my mower off of this wood. I wrestled and pulled and pushed, all to no avail. All of a sudden, with the dual motivations of saving the wrath of my neighbor and retaining any shred of pride left to me, I had a superhuman surge of adrenaline, (imagine the bystanders who lift a car off of a victim), and ripped the mower right off of the railroad tie. I had to push it using a ‘wheelie’ technique to get it out to the curb, so the blades did not drag on the ground. I abandoned it there, put a ‘Free’ sign on it, hid the missing chunk of wood, stained what was left of the railroad tie to match what was left of it, and went in to take a shower and order a pizza as it was now 1pm, 3 hours later. When the pizza man came to the house, he asked if he could take the mower and I happily passed this on to him, wishing him well. I called my friend to hire her son to mow my lawn and thought about a former neighbor who simply posted an ‘URBAN PRAIRIE’ sign in her yard as an alternative to her ever having to mow. Suddenly I understood. ‘A SHORTCUT IS THE LONGEST DISTANCE BETWEEN TWO POINTS.’ – Well said. Little did I know, when out on a family adventure, deep in the Ferguson Valley of Western Australia, the amazing experience I was about to have. Way, way out, in the middle of what appears to be nowhere, spread throughout a secluded woodland area, there lies a secret and very unique community called Gnomeville. You will not find it on any map, you could hurry by it a thousand times and never know of its existence, and you’ll most certainly need a trusting Aussie local to show you exactly where to find this jewel. Once there and upon entering the woods, you’ll quickly see that this is a place where whimsy is the rule of law, and it is easy to be immediately drawn into this fantasy wonderland. 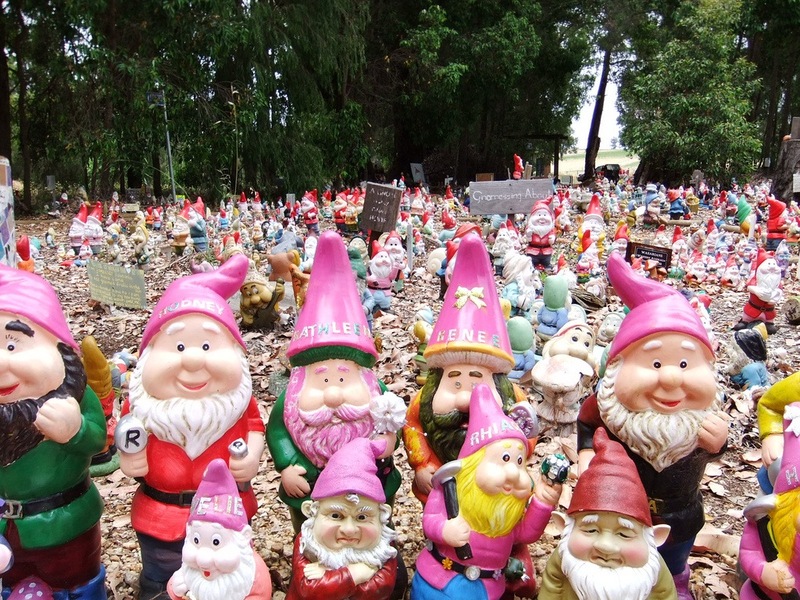 What began, years ago, as a place where someone placed their much-loved and very worn gnome to rest, has now grown into an exploding population, all devoted to the celebration of these little creatures. As you walk around, you will discover thousands, ( a virtual ocean), of ‘gnome scenarios,’ with signs and puns and plays on words, and languages, all in support of this community. After spending some time reading and wandering through this magical place, it is apparent that the secret has expanded to include visitors from every continent. The messages range from the sentimental, “Far away from gnome…”, to the kitschy, “There’s no place like gnome,” and even the macabre, “Silence of the gnomes,,,,”. When asking the locals who is in charge of this or who owns it, the reply is always something along the cheerful and surprised line of, “Why no one mate! It is just always somehow taken care of, by someone who stops by for a bit, and it is not owned by anyone, it is open to anyone to visit, simply a part of our local landscape, to be discovered and enjoyed. Why do the Americans always think something has to be ‘owned’ and charged for?” A very good question my Aussie friends, I certainly have gnome answer for that.